Conversation history in ICQ is available on any of your devices, buy your need to used third-party software to record voice call by yourself. No doubt Cok Auto Recorder is a good choice. It records audio conversation when you make a voice or video call automatically. Both sides voice will be recorded with a high quality. You needn't to click "start" button by your hands. 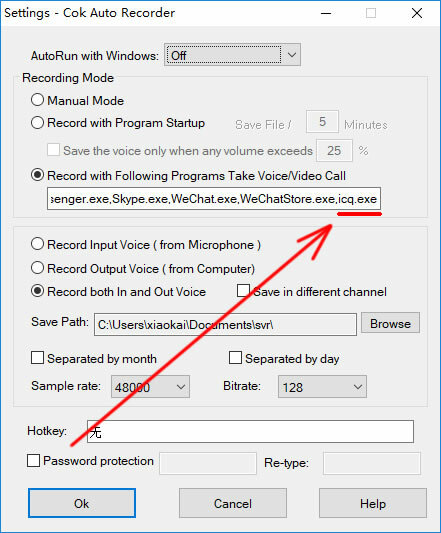 This recording software can detect ICQ Voice and video call event and start recording automatically. 1, Install Cok Auto Recorder by clicking upper “Free Download” link on your PC. And then Clicking "File", "Settings" menu. 2, Input icq.exe in the end of textbox as the following picture, don't forget to separate by a comma. Then please click OK button. 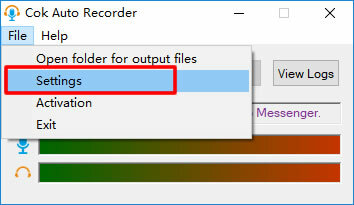 3, Now please click "File", "Exit" menu to close this software and then double click "Cok Auto Recorder" icon on your desktop to run it again. 4, Take a voice call (or video call) in ICQ with any friend or group. Also, you can answer a voice or video call with your friend. 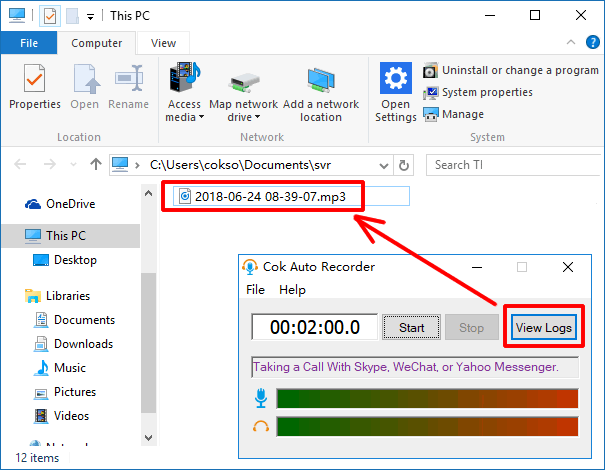 5, This recording software will record automatically when the connection is made. And it will stop recording automatically at the moment when you or other party hang up the call. 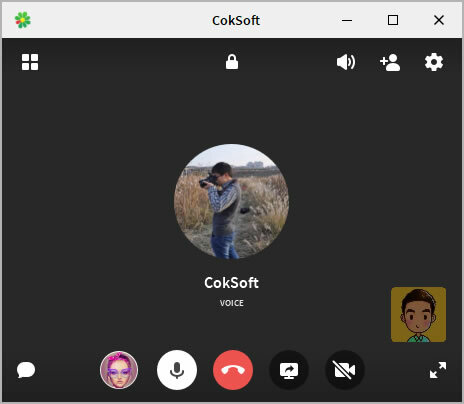 Notice: You need to run Cok Auto Recorder before ICQ, otherwise, it won't record automatically. 6, You can play the mp3 file by clicking "View Logs" button as the following picture. 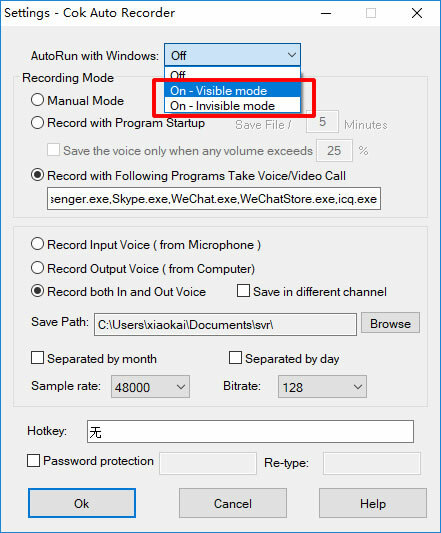 Q: Why Cok Auto Recorder can't start recording automatically when an ICQ voice/video call is made? A：Two reasons will lead to this issue. 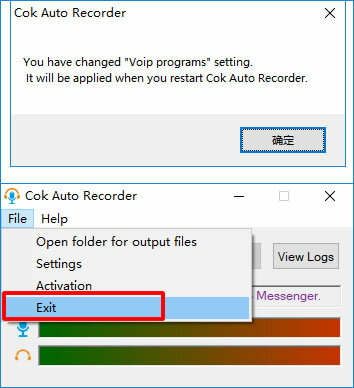 1, You must restart Cok Auto Recorder after you add the process name icq.exe in settings window. 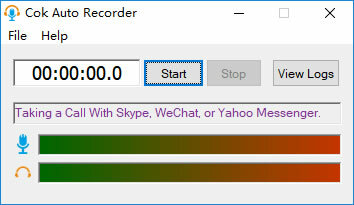 2, Cok Auto Recorder must run before ICQ, otherwise, this software can't detect the voice/video call event. 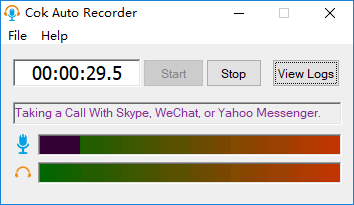 You can set this recording software run with windows to ensure it run before ICQ. Also, you can close ICQ and then run it again.